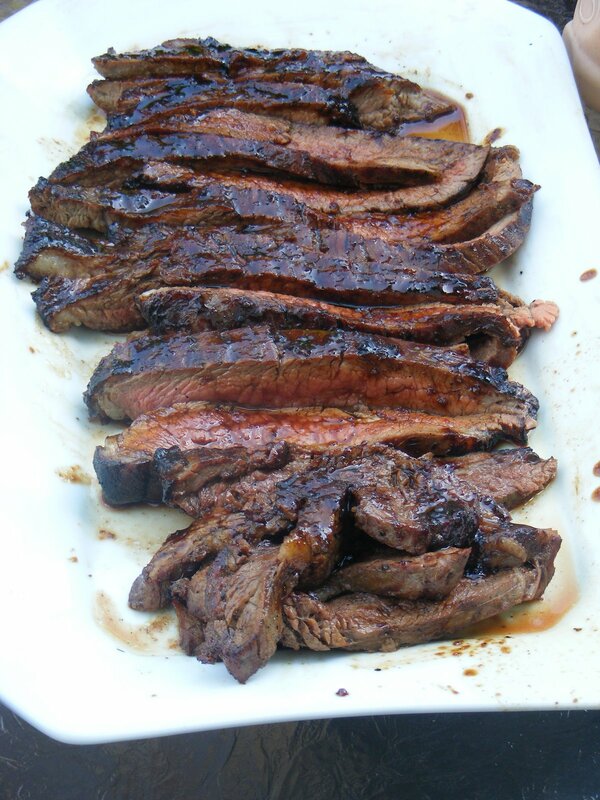 Try to look past the messy composition of this picture, and just stare at the deliciousness of this flank steak. Because it is frickin’ amazing. This steak comes from Bedient Farms, which I can not heap enough praise upon. I don’t know what owner Angela Bedient feeds her cows but it must be something fabulous. I think they might actually live like the cows in those Californial cheese commercials. Speaking of commercials, when you bite into this steak — well, after you’ve recovered from the explosion of flavor bursting on your tongue, and after you’ve regained consciousness from delicious-overload — that Beef: It’s What’s for Dinner song will pop in your head and you will remember all that is wonderful about eating beef again. Thinly slice the steak and brush with the reserved 2 tablespoons of glaze. Transfer to a platter and serve with lime wedges.